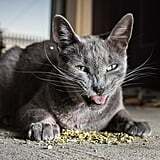 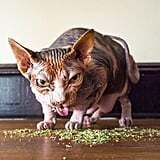 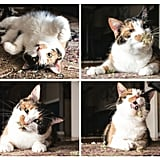 After photographer Andrew Marttila discovered his old roommate's cat had a minor (read: major) obsession with catnip, he pulled out his camera to try to capture the cat's crazy reactions. 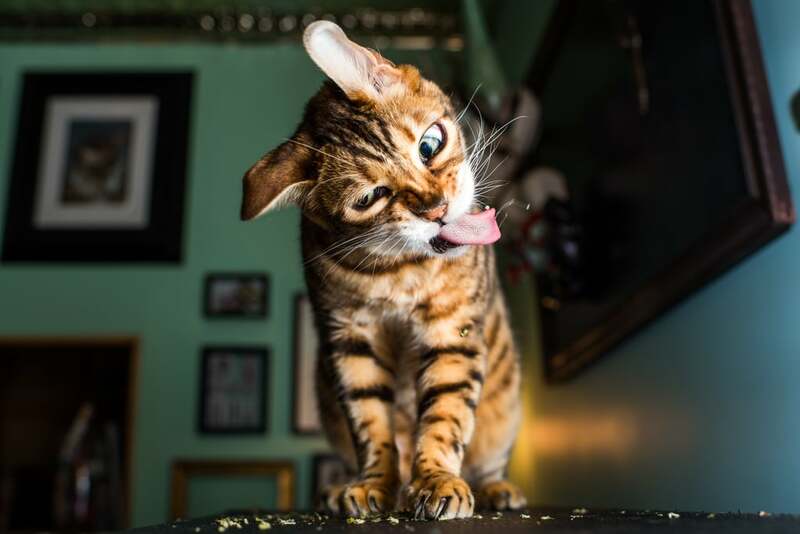 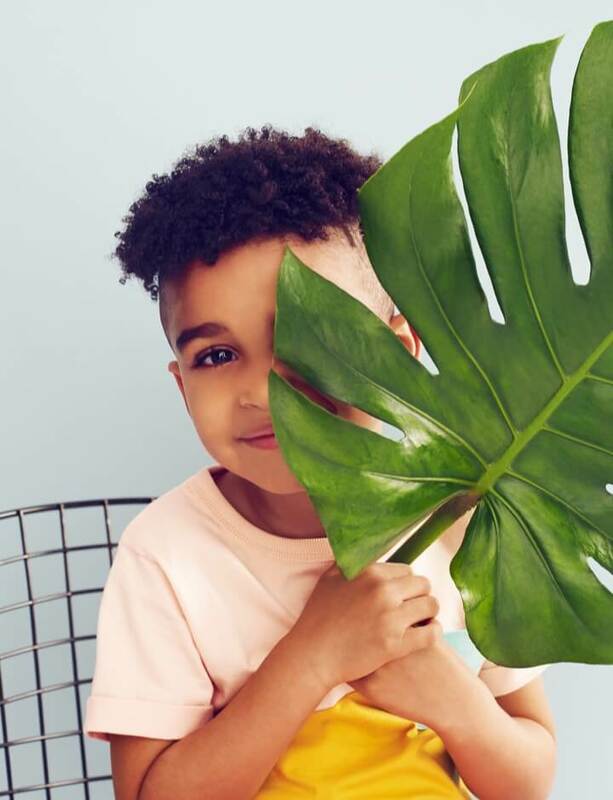 Over 100 "high" cats later (who kind of look akin to toddlers with sugar rushes), Marttila, who runs the iamthecatphotographer Instagram account, took enough photos to compile into a book that is going to look amazing on every cat-lover's coffee table. 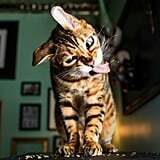 After stumbling upon Marttila on Instagram and promptly laughing hysterically at all of the adorable cat photos on his page, I had to know more — and as it turns out, he's just as funny as his photos. 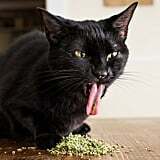 "My old roommate's cat absolutely loved the stuff," he told POPSUGAR. 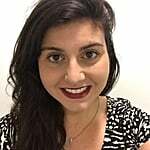 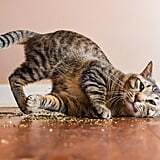 "We're talking 12-step program obsession. 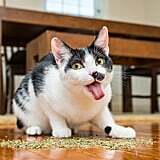 Whenever I'd give him catnip, I felt like my next move was to call the exorcist. 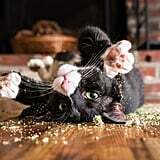 He made the craziest faces and bodily contortions, which fortunately I was able to capture with my camera. 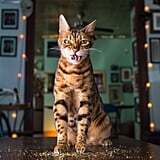 It became one of my favorite things to photograph and most definitely one of the most memorable to my audience. 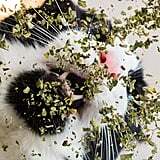 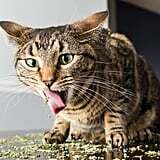 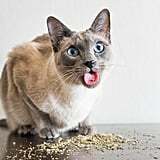 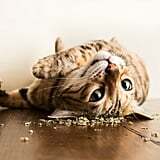 I figured it would be interesting to see how other cats reacted to catnip and to create a series revolving around it." 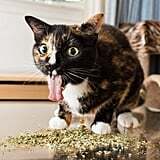 "Whenever I'd give him catnip, I felt like my next move was to call the exorcist." 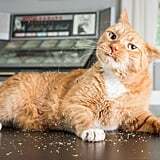 As someone who gets anxiety over the way my cats freak out over catnip contained inside toys, I admire Marttila's bravery in providing his subjects with huge piles of the stuff. 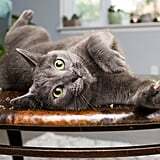 In fact, he says being able to do that was his favorite part of the whole project. 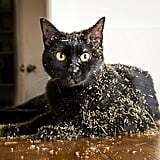 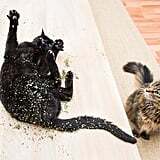 "I think, overall, the most enjoyable part about this was the cats' reactions to seeing a massive pile of catnip," he said. 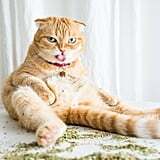 "A lot of cat owners don't know how to dish out the stuff. 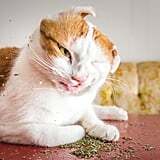 Cats don't want a pinch! 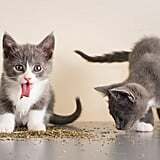 They want to cover their entire bodies in it. 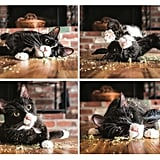 I took a number of hilarious photos with cats completely covered in catnip like a suit of euphoric armor." 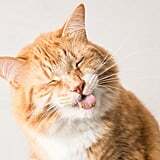 Scroll through to get a sneak peek of some of the hysterical photos included in Marttila's book, Cats on Catnip ($16), and get yourself a copy now!